This page contains links to News Items which do not otherwise fit onto one of the special pages on this site. Thus, if you are looking for news in the following major categories, please use the menu items at the top of your device: Parish Council, Village Hall, St Mary's Church. The proposed development at Marley Eternit has its own tab on this page. Whaddon has a newsletter, the Whaddon News, which appears four times a year. The editor is Joan Pascoe who can be contacted on 01223 208062. The selection of news below consists only of the items with an enduring interest that have appeared here since January 2013. I should like to invite you to the Annual Village Meeting to be held on Monday 15th March at 19:30. This is a general meeting where we talk about the work of the Parish Council as well as the District and County Councils. We shall also discuss other topics that affect the village as well as hear updates from the Village Hall Trust and the clubs and groups who are active within Whaddon. Although it’s not a Parish Council Meeting, we invite everyone to ask questions of the Councillors, many of whom will be present, as well as to make suggestions and enquiries. I look forward to seeing you on Monday evening, the 15th. The organisers of the Whaddon PITB 2018 are delighted to announce that the event made a fantastic profit of just over £2,000. A big thank you to all those 130+ party people that attended, the various volunteers, as well as the individuals and organisations that gave generous donations. A particular mention and thank you must go to DJ Steve Cross who provided his time and night club set up for free, and who made the evening an extra special party. 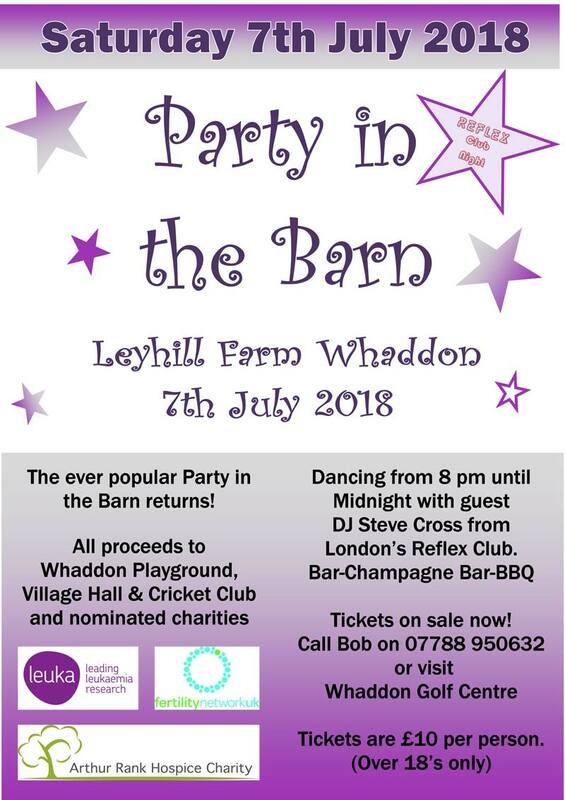 Thanks to the generosity of all concerned, the following organisations have received donations; Whaddon Village Hall & Recreational Ground Trust (£750), Whaddon Cricket Club (£500), Arthur Rank Hospice Charity (£250), Fertility Network UK (£250) and Leuka (£250). Three "thank-you" letters from the non-village charities can be accessed here. The pattern of stops for the CCC Mobile Library has changed. We are now visited on the third MONDAY of every month, but there is only one stop now, on Meldreth Road, and it's from 10:00 to 10:30. The Village Calendar has been updated, as has the entry on the web site (under Cambridgeshire County Council). For Whaddon, go to https://www.cambridgeshire.gov.uk/meldreth-road-whaddon/. Thanks to Joan Pascoe for drawing this to the webmaster's attention. The Party in the Barn, dormant for several years, is making a return. See graphic below for details of tickets. PLEASE NOTE THAT WE ARE STILL ACCEPTING EMAIL VOTES ON THE SIGN. If you haven't expressed your opinion before, do send any more votes/comments to ncs3@cam.ac.uk as soon as possible please. The absence of the village sign is very obvious. Last year the sign was removed for investigation and possible repair, and the result was not good: the cracking etc in the wood rendered it beyond reasonable repair. This year the Parish Council has been looking towards getting a replacement. David Grech has very kindly made a number of preliminary sketches of a possible new version. These have been whittled down by the Parish Council to three, and now it is up to the village to decide. On 14 October, 1 to 3 pm, we will be displaying the three final candidates in the village hall. The images will be printed in A1 format, so you can get some idea of what the signs might look like from a distance. The designs are also given below. Clicking on these images will give you a larger version. The basis for the design is "Wheat Hill", the origin of the name for the village, and since the village church is at the highest point in the village, David has shown the tower at the top of the "hill". The other elements are of course ones that we tend to associate with the village, Whitsun (the oak leaf), the fountain in Bridge St (the pump), and the coprolite industry (symbolised by the dinosaur). South Cambridgeshire District Council is changing the way used paper is collected from residents for recycling. From 11 December, residents won’t need to use their caddies to recycle paper anymore. From that date, residents should place their used paper directly into their blue wheelie bins instead. This used paper will still be recycled after being sorted from other materials at our facility near Waterbeach. Residents can keep their caddy to use for anything they like. Alternatively, they can be recycled by being dropped off at the nearest household waste recycling centre. They should not be placed into wheelie bins. The decision to withdraw the paper caddy service was taken at South Cambridgeshire District Council’s Cabinet meeting in September. The decision will save taxpayers money and simplify the recycling process for residents. Because of this upcoming change, the District Council will not be delivering any new paper caddies. If they are lost or stolen before 11 December, residents can begin putting paper in their blue bin. Villagers may have seen that the yellow cabinet for the defibrillator that the Parish Council has acquired has been installed at the Village Hall. I need to tell people that it is NOT yet operational. The device will need to be checked and the ambulance service informed so that its presence can go on the 999 database. Once this process is satisfactorily completed, the Parish Council will provide every household in the village asap with full details of what to do should someone in the household be suspected of having a heart attack. The first thing will still be to ring 999. Firstly, a huge thank you to you all for your superb efforts so far in raising awareness about the Boundary Review’s proposed parliamentary constituency changes. I was delighted to see so much representation from my southern villages on the Boundary Commission website. The Consultation has now moved to phase 2. This is a 4 week period in which the Boundary Commission publish all feedback received and ask people to give their views on it (so asking people to comment on other people’s comments!). On the Consultation website www.bce2018.org.uk, the Commission has separated feedback into comments (green dots) and counter proposals (yellow dots). I’ve attached a screen grab below to illustrate. During this phase it’s important to remember that Boundary Commission Guidance specifically asks people to take into account knock on effects to the region when commenting on proposals. Whilst it’s great to have representations that explain why your village doesn’t want to move, we need to show an awareness of how staying in South Cambs will affect the rest of the region. With this in mind, I formulated a counter-proposal (yellow dot) that demonstrates how my southern villages can stay in South Cambs without affecting other areas adversely. The more support this proposal gets, the better chance of success. If you want to stay as part of South Cambs please could you ask your villagers to log onto www.bce2018.org.uk, input my constituency office postcode of CB23 7QJ and show support for my yellow dot proposal by clicking on it and giving feedback? The consultation closes on 27th March. I really don’t want to lose your important villages from my constituency. South Cambridgeshire District Council are changing the dates our dustbins are collected, from Friday to Wednesday, with effect from the end of February--so our first collection under the new schedule will be the black bin on Wednesday 1 March. The dustbin type will alternate every week from there on. These changes are being made due to the need, as ever, to save money due to the government’s desire to cut back on money to local councils. Collections are now to be shared with Cambridge City Council, and the need to merge some routes that are close to the two area boundaries has been the driver of the change. The SCDC web site has yet to be fully updated with the details, but you should all have received a flyer through the door recently. I thank the Secretary of State very much for his statement. May I just clarify whether the barracks at Bassingbourn in my constituency, which has been closed for some time, will now receive personnel from Burgoyne barracks in 2019, RAF Henlow in 2019, Weathersfield in 2020 and Chilwell station in 2021? I understand that from an email that has just arrived on my phone. If that ?is the case, that is an enormous and very welcome uplift in the number of personnel at Bassingbourn. May I have a contact in the MOD, so that the local authority can start to plan education, schools, GP surgeries and so on? Yes. This is good news for Bassingbourn. I can confirm the gist of what my hon. Friend said. Bassingbourn will be one of the key receiver sites for some of the units that are now on the move. She said that she would like a contact in the Ministry of Defence, and I suggest that she contacts the Under-Secretary of State for Defence, my hon. Friend the Member for Milton Keynes North (Mark Lancaster). As published in the August issue of the Whaddon News, a number of data recorders were placed around the village for a week in May. These data have now been analysed. Below are links to various PDF files giving the original report, and extended versions of the three analyses in the report. In the past year as many of one in four residents in Cambridgeshire visited A&E when they could have used an alternative service or looked after themselves at home. Each visit to A&E costs the local NHS £87, and that’s before any treatment is given. When you look at the figures, this costs the local NHS over £4million a year. In turn this is the equivalent cost of 677 hip replacements, or 287 liver transplants or 115 more dementia nurses. Using A&E when you don’t need to can also have a knock-on effect to the rest of the hospital, as busy A&E departments resulted in 500 cancelled operations and procedures because a bed was no longer available, and longer waiting and referral times. · Choose the right service – your local pharmacy can provide confidential, expert advice and treatment for a range of common illnesses and complaints, without having to wait for a GP appointment. Cambridgeshire ACRE was commissioned to carry out a Housing Needs Survey in Whaddon Parish in March 2015. This survey was carried out on behalf of BPHA (a local Housing Association), South Cambridgeshire District Council and the Parish Council. The document is now available on the village web site. Whaddon Parish Council is looking for a new trustee for the Alfred John Palmer Trust. Interested persons should download the full announcement. What is the Alfred John Palmer's Trust? with other forms of heating costs. What would a Trustee do? The Trustees are responsible for administering the Trust Fund itself. The Parish Council will also be asking them to review the terms of the Alfred John Palmer’s Trust and to make recommendations regarding its future. In particular the Trustees will be asked to consider if the original aim is still relevant today and whether the beneficiary group should be widened. The workload associated with these duties is not anticipated to be large. The Trustees currently meet annually although it may be necessary to hold a few additional meetings while the terms of the Trust are considered. The Local Government Boundary Commission is opening a consultation on some proposed changes to the boundaries for Cambridgeshire with 2020 in mind. You can find the basic page here, along with a history of the changes, and opportunities to comment. It also includes interactive maps of the changes. 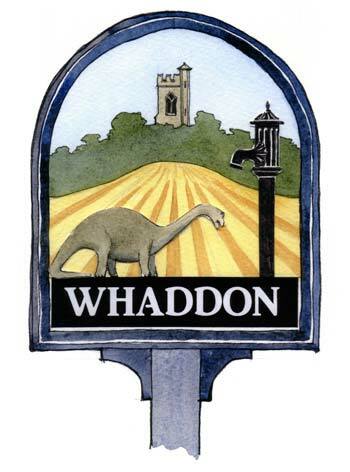 Just a reminder that we shall be holding the Annual Whaddon Parish Meeting next Monday (20th). It's not a Parish Council Meeting but will be chaired by myself. It's your chance to hear reports about the work of the Parish Council, District and County Councillors, Neighbourhood Watch, Speedwatch, The Palmer Trust and the Whaddon Village Hall and Recreation Ground Trust, as well as updates from a number of the regular clubs who use the hall and playing field. There will be opportunities to discuss any points from the meeting. The meeting will be held in the Village Hall and light refreshments will be available. The recent high winds resulted in many wheelie bins being blown over and, on at least one occasion, a bin was blown on to the road in Church Street. A motorist trying to avoid the bin hit the curb resulting in the tyre having to be replaced. Potentially something worse could, of course, have happened. This was raised at Monday's Parish Council meeting (13 Jan 14). If your circumstances allow, please try to takes your bin(s) in as soon as possible after they have been emptied. If you are working perhaps you have a friendly neighbour who might help. A new vicar has been appointed. Please go to the St Mary's web page for more information (link at top of page). Further to the news of the change in speed limits in November, here is the press release sent then to the local media about the change. Motorists driving through Whaddon will notice that the speed limit has been reduced from 40 to 30mph. Villagers have for many years sought to have the limit dropped but bureaucracy always got in the way. Faced with a high level of speeding commuter traffic cutting through Whaddon en-route to the Meldreth, Melbourn, the A10 and the A505, the village chose not to take this lying down. Two paths were seen as the way ahead: the first was to collect speed data using the Speedwatch monitoring system. Whaddon and Bassingbourn were the first local villages to use this equipment back in 2009 and in the intervening years the data collected has been invaluable in understanding both the scale and location of the speeding problem. The second was to understand the rules and to identify the people at Cambridge County Council level who had influence on village speed limits. Finally, the government’s localism agenda has played a part by giving parish councils a greater say over their affairs The local view is that while rules and regulations rightly have a continued role to play in traffic matters so does the people’s voice which, in the case of the change in Whaddon, has been clearly heard. The new 30mph speed limit will probably come as a shock to the commuter traffic that cuts through Whaddon but the residents have no doubt that the change is a blessing. The hope now is that motorists will observe the 30mph. Certainly Whaddon’s Speedwatch team will be monitoring the situation. Most villagers of Whaddon will know that Marley Eternit are proposing the redevelopment of part of the Eternit site in Meldreth for housing. This page has been added to enable you to keep up to date with the latest news on this. "The planning application for up to 150 houses on the Marley Eternit Site, Whaddon Road, Meldreth was considered by South Cambridgeshire District Council's Planning Committee on Wednesday 6th September. At a previous hearing, the Planning Committee had deferred their decision and asked for further information particularly regarding highways issues. This time the application was unanimously rejected by the Planning Committee. The applicant now has six months to decide if they wish to submit an appeal. Chairman - Whaddon Parish Council"
"The planning application for up to 150 houses at the Marley Eternit Site, Whaddon Road, Meldreth was considered by South Cambridgeshire District Council's Planning Committee yesterday (5th July). However, after much discussion, the decision has been deferred to a future meeting. The Planning Committee wants some additional work to be done on highways issues connected with the application before it can be considered again. The Parish Council are grateful to all those who have helped ensure that Whaddon's viewpoint has been heard. We will update you again in due course. 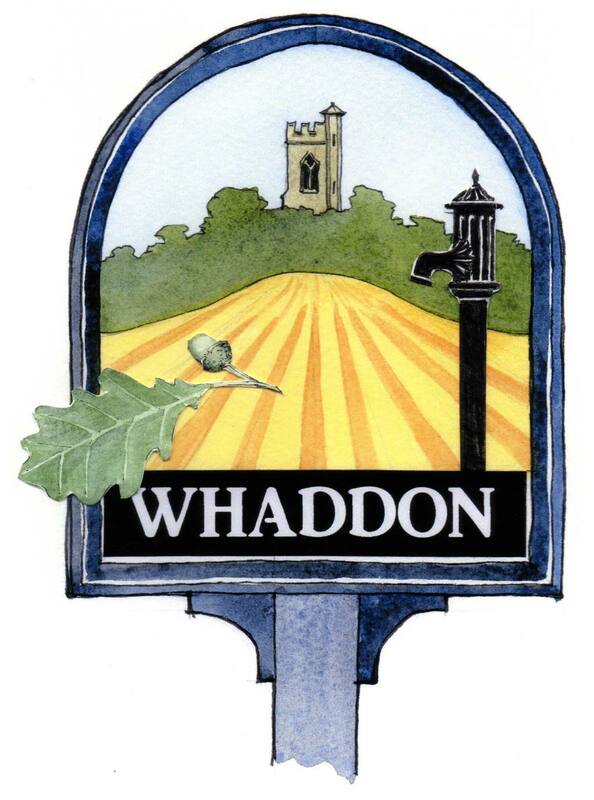 Clerk - Whaddon Parish Council"
In November, a number of revised documents were added to the South Cambs planning site. They can be viewed by going to the SCDC planning site and using the same reference as before, S/1901/16/OL. At its meeting of 8 September, the Parish Council agreed to comment to SCDC opposing the development in its present form. Please go to the Minutes tab on the Parish Council page to read them. Please note that the online survey says Meldreth PC, but Whaddon will get the relevant data from them. For those who would rather fill out a paper questionnaire, and where more than one copy is needed, a PDF version of the Parish Council's questionnaire is now on the web site. An outline planning application has now been submitted by Marley Eternit. 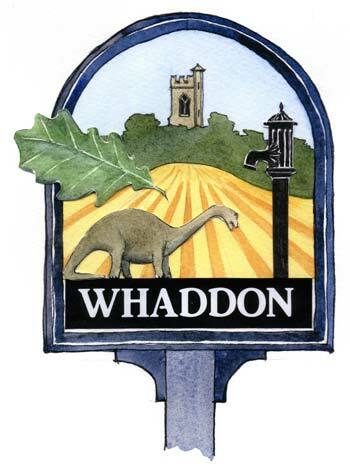 Whaddon Parish Council encourages interested individuals to look at the online application as it is complex and there are a lot of documents. Any resident may submit comments on the proposal directly to SCDC by the deadline of 6 September. The PC has been formally asked to review the proposal and will be holding a special meeting on 8th September 2016 at 20:30 to discuss the application and provide comments and a recommendation to SCDC. In order to understand the views of the residents, a questionnaire to all houses will be circulated in the next few weeks and then collected around the beginning of September. We encourage everyone to take an interest in this application. With a development of 170 houses being discussed as an option for the redundant part of the Marley Eternit site, Amy Walker and Nigel Strudwick were able to get a tour of the site courtesy of Eternit's property agent, James Munnery, of Footprint Property Services. We thank him for his time and for answering lots of questions. We had a tour of both the redundant area and the active area, both of which were extremely interesting from the historical and industrial archaeological point of view. But to the proposed development. This web site shows some of the aerial maps and the different areas. The images are a bit too small and the PDF link at the bottom doesn't work although we have reported it. A takes the brownfield site and uses it for housing, after the mandatory clean-up. 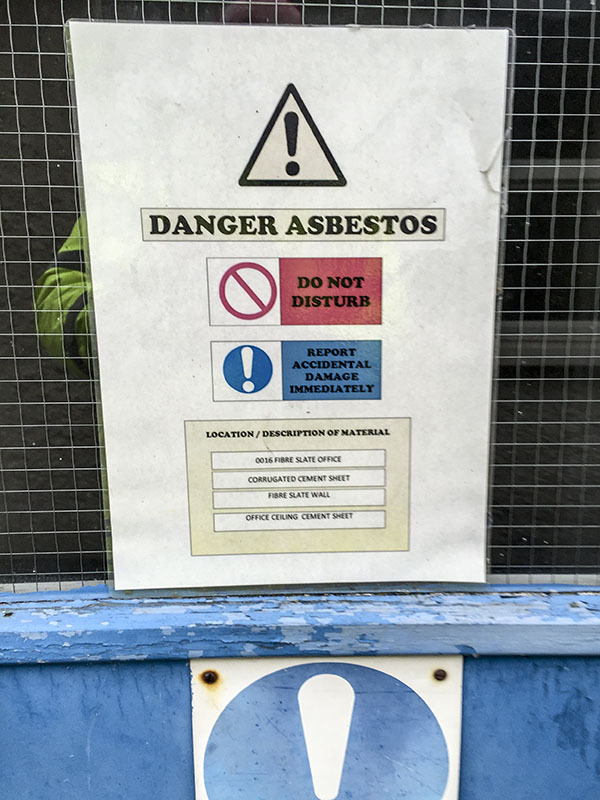 The clean-up will involve some residual asbestos removal, although most has been taken away already; otherwise there is some normal industrial clean-up. B is largely in response to the comment that the site does not involve the village envelope. This proposal would use one of the adjacent fields owned by Eternit to make it slightly closer to the village. A is Eternit's preferred option, since it does not damage green land but just concentrates on a site for which no other use can presently be found. B has the added danger of opening the can of worms of development on non-Eternit green land. The landfill site adjacent to the main area has been used for some asbestos but we are told is monitored regularly by the environmental authorities. Any housing development would be a mixture of properties, with about a third being affordable in nature. There will of course be S106 payments for local infrastructure and amenity improvements. 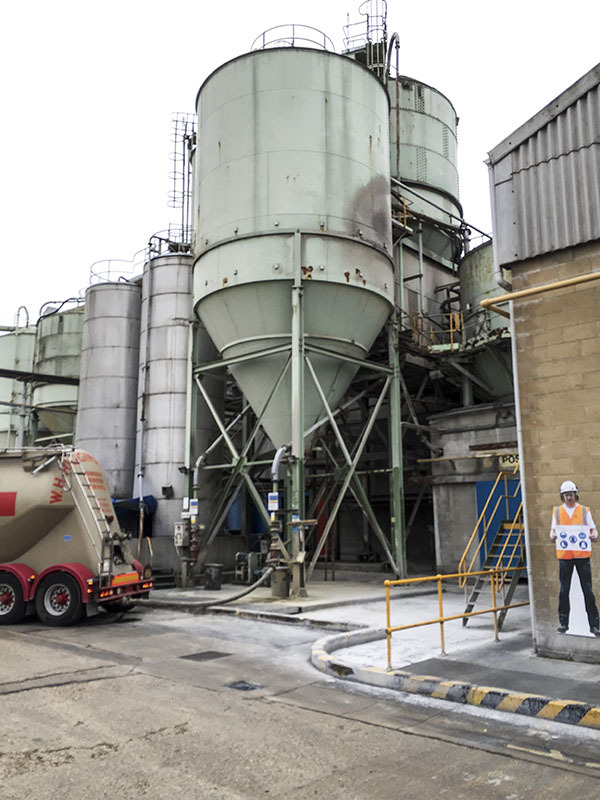 Access to the site would be separate from that to the factory and will be shielded from it to minimise noise. James Munnery will be present at the exhibition in Meldreth Village Hall on Saturday 27 February between 14:00 and 20:00 to present the development, answer questions and take feedback. It is intended to put this brief report on the email, web and Facebook media, along with some photos.